Apologies :- Steffany M., Afsana K., Katie R., Tia H.
The meeting started with an introduction from a Kerrching-funded project that aimed to help the Roma community of Oldham feel more engaged in the community. It has been a year since the elections for the 2018-2020 term of office for the Oldham Youth Council, and Chris has asked for the youth councillors to reflect back on the work of the Oldham Youth Council, and what could happen in the future. Questions were along the lines of “What were the best parts of the last year?”, “What were Youth Councillors most proud of?” and “What could change about the way OYC Oldham Youth Council is run for the better?” The discussions that came up brought up some interesting and thoughtful points that could help strengthen the effectiveness of OYC Oldham Youth Council in the future. The Oldham Youth Council website has begun to feel outdated, and inconsistent with the work of the OYC Oldham Youth Council. It has been brought up that the layout of the website isn’t up to date with the OYC Oldham Youth Council, that the content isn’t easily locatable and isn’t friendly to use. This is why the OldhamYC.com website will go under a complete refresh, changing the layout and scheme of blogs that are uploaded to the website to hopefully become more youth friendly, and make it easier for visitors to see what OYC Oldham Youth Council stands for, and the work we do. 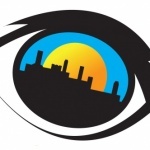 A tester for the website refresh will be held on Wednesday 10th April 2019 at OYC Oldham Youth Council HQ, allowing youth councillors to come along, with a plethora of devices, to test the layout of the website on a variety of platforms, and help develop a website that will be more engaging for the future. This small e-safety session mainly focused on the social media platforms that might be possible for the use of OYC Oldham Youth Council, so easily communicate with youth councillors. As the percentage of youth councillors who use Facebook has decreased, a new platform for communication needs to be in place, so all youth councillors feel engaged with the work, and allow more effective communication. 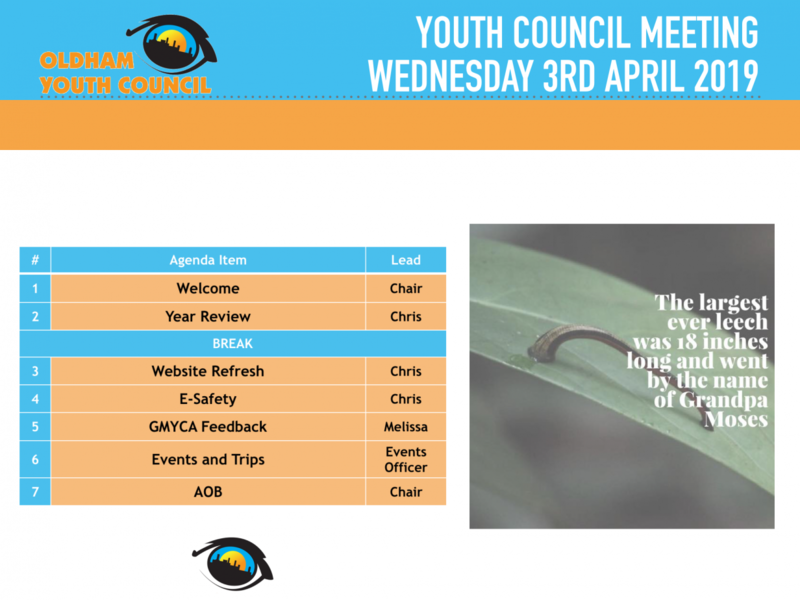 The OYC Oldham Youth Council GMYCAGreater Manchester Youth Combined Authority Representatives, Melissa D. and Hamra A., gave feedback on what has currently been going on in the working groups and meetings of GMYCAGreater Manchester Youth Combined Authority. Youth Councillors are reminded that they are allowed to attend the working group meetings, if they wish to do so. Events and Trip reminders were given to the Youth Councillors who attended the meeting.